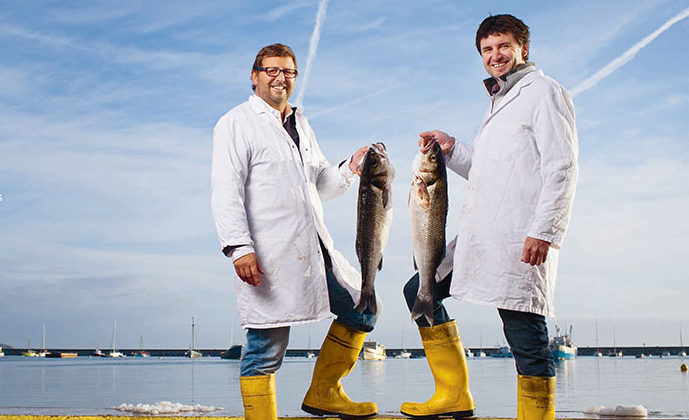 Mitch Tonks is often dubbed the No 1 man in Britain for fish and has been named ‘fishmonger for the 21st century’. The Seahorse restaurant, nestled on the mouth of the River Dart, champions some of the best fish and shellfish in the world from the nearby landing site and is a favourite haunt of the foodie establishment. The menu is a seafood lover’s tour of Europe’s great fish dishes and cooking over a charcoal fire is the restaurant’s speciality. Tonks and co-owner Prowse have an honest passion to enthuse, cook for and inspire others to enjoy seafood. Join us for this special evening with these respected voices enthusiastic supporters of the fishing industry.